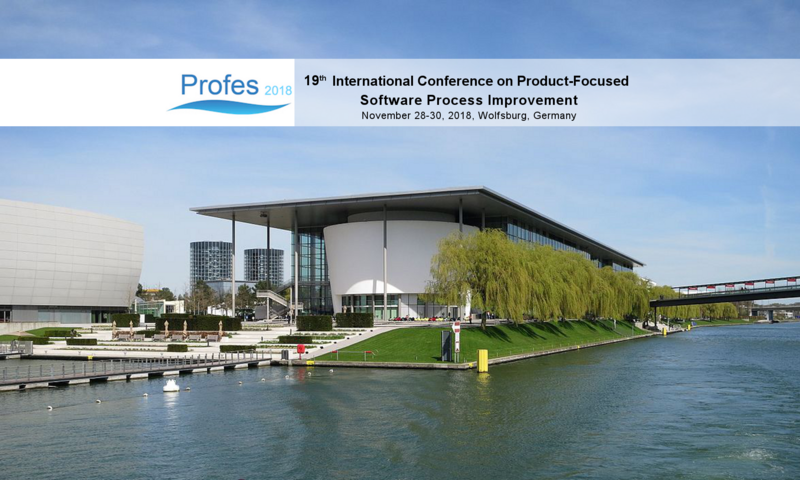 PROFES, the International Conference on Product-Focused Software Process Improvement, is among the top recognized software development and process improvement conferences. The 19th edition of PROFES will be held in Wolfsburg, Germany, from November 28 to 30, 2018. PROFES organization is composed of local and international recognized researchers in software engineering. The objective of PROFES is to provide a premier forum for practitioners, researchers, and educators to present and discuss experiences, ideas, innovations, as well as concerns related to professional software development and process improvement driven by product and service quality needs. PROFES especially welcomes contributions emerging from applied research to foster industry-academia collaborations of leading industries and research institutions. The proceedings of this year’s PROFES can be found here. PROFES provides a variety of scientific and industry-related talks, tutorials, and workshops. The PROFES 2018 main program presents 24 talks and 2 keynotes. The main program is complemented by 2 workshops and 3 tutorials. The new industry days include an agile open space and lightning talks to foster an open atmosphere and fruitful discussions.